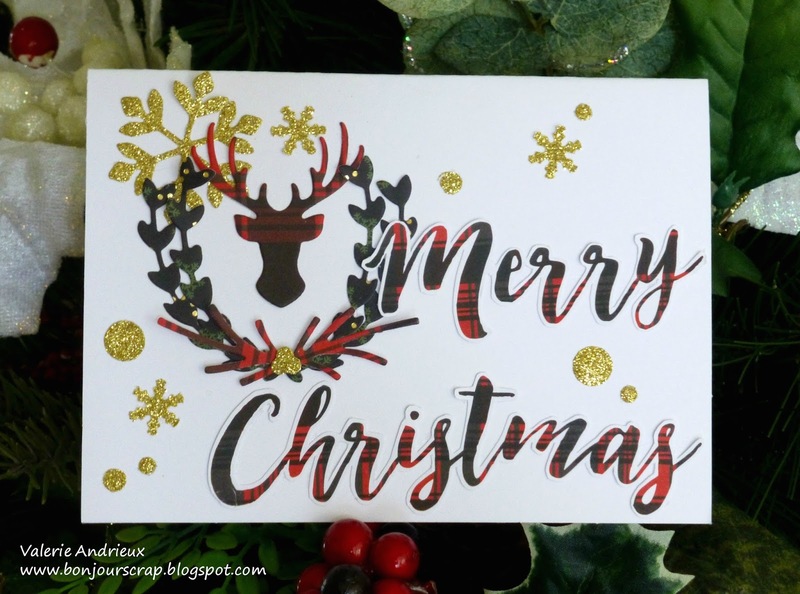 The sentiment was hand cut from one of the sheet of the Christmas Plaid stack by DCWV, and the dies were cut with the Christmas Holidays set by Little B. Two small snowflakes came from a small punch. Having a white background is not my usual, I'm still thinking something is missing ! Well, I will get back to myself tomorrow ! But if you like this card, please let me know ! You can review all the cards I have made so far on this page, and learn more about my giveaway on this one. Did you know I've been doing this 30 something since 2013 now ? How can I come with more Christmas ideas ? You can check each year's projects by clicking on the top tab. Loving the plaid! Great gold accent pieces!